Training programs play a crucial role in honing skills of employees, making them responsible, productive, efficient and well rounded managers. Employees need to be trained on how to interact with their fellow workers and superiors. Not many people know how to behave at the workplace. Employees ought to be trained on business etiquette, workplace ethics and how should they conduct themselves in organization. There is a certain way of doing things and employees need to be suitably trained. Employees need to be trained to treat all fellow workers as one irrespective of their designation and respect their female counterparts. Training on effective communication is a must in organizations. Not everyone is born with effective communication skills; it comes with time and specific training programs. Training on soft skills helps employees to use the correct language at the workplace and pass on information in its desired form. Employees need to be trained on conflict resolution skills which would not only help them find solutions to problems but also strengthen employee relations. Employees need to be trained on time management skills. Employees need to make the most judicious use of time. Trust me; no one listens to lame excuses that you did not get enough time to complete your task on time. You need to manage your time well. Managers need to master the art of making the best possible use of available resources. Responsibilities should be delegated as per specialization and interest levels of employees. 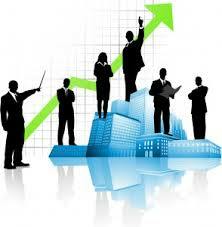 Proper delegation of job responsibilities avoids confusions at workplace and leads to a healthy work culture. Clear clutter and organize your workstation. Keep all your documents in a proper folder to avoid unnecessary searching when needed. Being organized not only saves your time but also helps you achieve targets within the desired time frame. Safety of the employees is a major concern in organizations. Employees need to feel safe and comfortable at the workplace. Employees need to be trained on how to handle emergency situations. Special training programs should be organized to acquaint employees with fire safety techniques, emergency /earthquake evacuations and other security concerns. Employees need to be trained on policies of organization and how the same ought to be implemented in the correct way. Special training programs ought to be designed to familiarize employees with the rules and regulations of the workplace. Effective training on leadership skills help managers to be a strong leader and a source of inspiration for their team managers. A leader needs to be an effective listener as well. He needs to patiently listen to the problems of his team members, counsel them and give them appropriate solutions. A good manager should be a good mentor who stands by his team members, guides them and helps them face tough times with a smile. Leadership training help managers to encourage their team members to work in unison for better results. Customer trainings enable employees and managers to deal with customers sensibly. Such trainings help employees to address customer grievances and make customer centric decisions. You can’t afford to be rude with your target customers or ignore their problems.